FlowerSchool New York offers private and corporate team building events for your next party or professional gathering. We provide an authentic experience that will inspire, impress and celebrate New York floral design with your community. 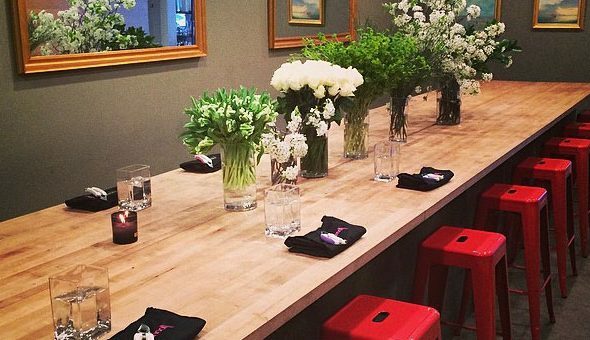 FlowerSchool New York partners with local restaurants, chefs and caterers to host unique, intimate dining experiences tailored to your desires! Venue rentals begin at $250 per hour with a minimum of two hours. Please contact Jessi.Owens@flowerschoolny.com for more details. For press and media inquiries, please e-mail Liz Brown at Liz@lizbrownmedia.com.